We have done our due diligence and NOW FINANCE isn’t your traditional faceless financial services provider. They offer personal loans, personal service, and a personal repayment plan to suit you, whatever the reason for taking out your loan and your personal circumstances. When you use Osinski Finance to take out an unsecured personal loan from NOW FINANCE, you’ll benefit from us doing all the heavy lifting for you. Whether you choose to repay over 12 or 84 months , this personal touch ensures you’ll always know the status of your loan and can speak with someone that has come to know both yourself and your situation. So what can you use a Personal Loan for? The principle behind debt consolidation is simple. It simply means to bring all of one’s personal debts together – consolidating them – into one single regular payment. 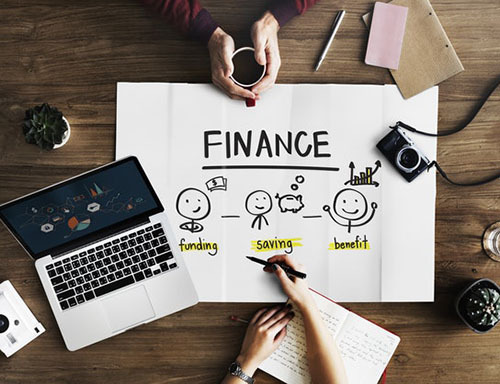 Managing multiple debts can be stressful, tiresome and resource-heavy; therefore NOW FINANCE provides an option to consolidate all of these debts into one easy weekly or fortnightly payment by direct debit. With a debt consolidation loan, our customers can enjoy flexible payment options and simplify the management of their finances. Whether you are looking to consolidate credit cards, another personal loan, other debts or a combination; Osinski Fianance can help you find a solution. Medical expenses can be a planned or unexpected incident, and can place unwanted strains on individuals, couples, and families. Osinski Finance offers a simple solution to customers with a personalised experience to suit customer expectations and desires to ensure a smooth transaction.Using our friends at NOW FINANCE we cover a number of procedures under their medical loans; from dentistry, laser eye surgery, and plastic surgery to cosmetic surgery, hair replacement and elective surgery. Their competitive medical loan rates will ensure that all your medical expenses are handled professionally and timely, all integrated with our weekly or fortnightly repayment plan. Secure your medical finance online, or give us a call today and we will assist you personally with your needs. Do you feel like the holiday of your dreams will never become a reality? Are you trying to plan your honeymoon but have spent all your savings on the wedding? Have your children experienced the thrill of air travel to somewhere new?Whatever your circumstances, Osinski Fiance along with NOW FINANCE is on hand to help you. With travel loans tailored specifically to your personal situation, you can take that once in a lifetime trip, visit your family elsewhere in Australia or abroad, or introduce your kids to the joy of travel. Vehicle ownership is an essential part of life for Australians, whether living close to an urban centre or in a more remote location. Whether you’re looking to buy a vehicle for the first time or it’s time for a replacement or upgrade to your current means of travel, having the necessary finance is often easier said than done.With Osinski Finance and NOW FINANCE, you can put these worries to one side by taking out one of their vehicle finance loans. It doesn’t matter whether you simply need a bigger and better car, your current car has decided it’s ready for retirement, or even if you’re looking to buy a boat or another type of vehicle, with vehicle financing from Osinski Finance you can use your capital however you need to. From getting to and from work without braving public transport to having the mobility to get out and explore all of Australia’s wonderful urban locations and remote, raw beauty, you can give your lifestyle a boost by securing vehicle finance online from Osinski Finance. Home improvement can be costly, and you’ll often find that you don’t have the capital in place for many of the improvement you wish to make.At Osinski Finance, we offer a range of flexible home improvement loan options, enabling our customers to borrow up to $40,000 over a period of as much as 7 years. Our fixed interest rate home improvement loans can be used for whatever projects you have in mind for your home, whether you’re looking to install a swimming pool, build an extension, or carry out a specific set of renovations around your property. taking out a personal loan for home improvement is the ideal way to get the home of your dreams without needing to save for years, and you can manage your weekly or fortnightly repayments on a flexible basis with a fixed interest rate. Call now for a free quote, apply online, or schedule a call back, and let Osinski Finance help you to find a personal home improvement loan solution that works for you. It is easy to underestimate the costs of furnishing your home. Whether you’ve just bought your first house, have just left home and are renting your own place for the first time, moving to a bigger property, or just need to freshen up the inside of your home, household furnishings can command a large chunk of your budget.By using Osinski Finance with the help NOW FINANCE, you can keep your existing moving budget to pay for the things you need to deal with today, and borrow up to $40,000 to cover the costs of your home furnishings. Whether you need one or two things like a sofa and dining table, or need to furnish your house in full from top to bottom, our unsecured household furnishing loan can help. Whether you’re an individual, couple, or family, you can use your loan to buy whatever you need. Your NOW FINANCE household furnishing loan offers repayment periods of up to seven years.